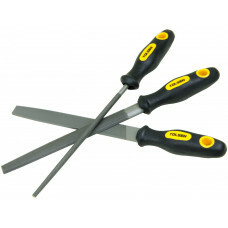 Wood and Metal Files, Metal Brushes, Polishing Tools. The flat file is made of T12 tool steel, the hardness up to HRC63-66 standards. The file teeth are p.. 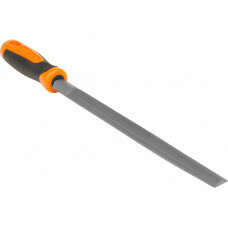 This round second cut file designed for work with plywood, wallboard, plastic and other soft materia.. 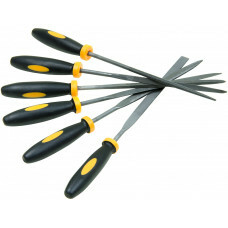 The half round file is made of T12 tool steel, the hardness up to HRC63-66 standards. 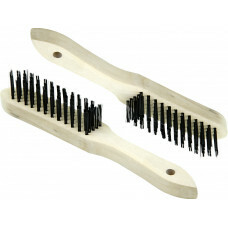 The file teeth..
2pcs of heavy duty wooden handled scratch brushes. Industrial quality brushes suitable for a multitu.. 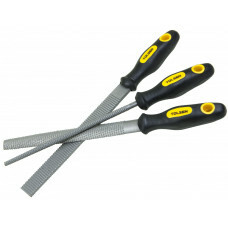 This three piece wood rasp set with rubber handles includes round rasp, flat rasp and half-round ras.. Files are useful for removing fine amounts of material on metal pieces you’re working on. These Tols..
Can be used for processing hard wood, deburring, trimming, chamfering, polishing, rough machining, s..